At the end of December, I hit my 4th blog birthday. Honestly, I never believed I'd keep up my little blog this long! Over the past four years, I've learned more than I could imagine and wanted to share some of these lessons with you. NEVER CENSOR YOURSELF This is something I've only learned in the past few months and I wish it had been earlier. I spent so long wanting to please everybody and keep everyone happy that I shied away from sharing my full opinions. This year, I realised that I just don't care if other people disagree. Case in point: When I tweeted something slightly critical of Zoella, I got a slew of people unfollowing me. Once upon a time, I would have felt awful but now I've realised it's ok to hold different opinions and, if other people are going to unfollow because they don't agree, it doesn't matter. PATTERNS ARE COMMON For my blog, September and mid-December are always going to be really low traffic months. It doesn't mean I've done anything wrong, it's just a pattern that occurs year after year. On the other hand, January and August are huge months for my blog. Now that I've identified these patterns, I can plan for them more efficiently. YOU WILL IMPROVE Oh God, at first it can be so disheartening! I remember when I first started, I'd look at all these established bloggers and completely envy them. Why was my photography not that good? Why did I not have as much success? You know the old saying "Don't compare your beginning to somebody else's middle"? It's absolutely right. When I look back at my early posts, there is a huge improvement (here's a good example of how bad I was!). 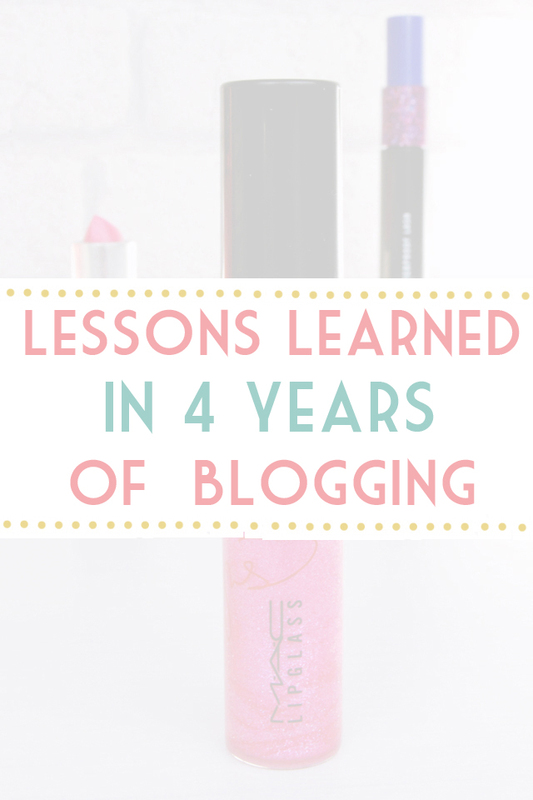 Blogging is such a learning curve and one of the things I love so much about it is that I never stop learning. I'm constantly improving in so many different areas and that fills me with joy. ...BUT THAT DOESN'T MEAN YOU'LL EVER BE HAPPY Admittedly, the improvement I've seen over the years doesn't mean I've settled. I still want to improve in so many ways and, yes, I do still look at those same blogs and wish mine was as good as theirs, but when they have years more experience than me, of course they're always going to be ahead. Perhaps in five more years, my blog will be where theirs is now. Who knows? IT REALLY CAN CHANGE YOUR LIFE When I started blogging, a week before starting my first teaching position, did I think the blog would outlive my new career? Hell no! But here I am, cutting down hours at work partly so I can blog more and looking forward to a new chapter in my life. I've made friends who I never would have met otherwise, experienced places that I never would have visited and had opportunities that I wouldn't have achieved as a teacher. It may sound a bit dramatic to say "blogging's changed my life" but think about it- what has blogging brought you that you wouldn't have otherwise? Honestly, I think starting this blog was one of the best things I've ever done. I feel very glad to be in a position now where I can look back and reflect on all the things I've learned. Wonder what I'll learn in the next 4 years! I love this thing about blogging - there is always so much to learn.Let it be social media strategies to photography tips. It never gets dull. Very wise! I wonder if your August/September pattern is because lots of teachers follow your blog?! My little blog has taught me skills that I used to get my new job. Not bad for a (sporadic) hobby! I couldn't agree with any of these more. It's been one hell of a journey! Omg I wouldn't have thought it would change my life but it really has! It's definitely improved it. I seriously love looking back at my old posts and seeing how much I have improved, and then looking back at old posts of other established bloggers and how much they have! Definitely gives me hope! I think everyone's guilty of comparing their blog to everyone else's, it's something I've struggled with a lot in the past! But I love blogging and it's definitely made me so much happier to have a hobby like it. I think the 'you will be improve... but won't always be happy' really speaks to me haha. I know I've improved, but there's just always something else to do. But yep, it can definitely change your life!